We are SEO Experts With Proven Methods to Dominate Your Market. We’ve Helped Hundreds of Clients & Can Help You Too! We drive new qualified leads to help you grow your business. 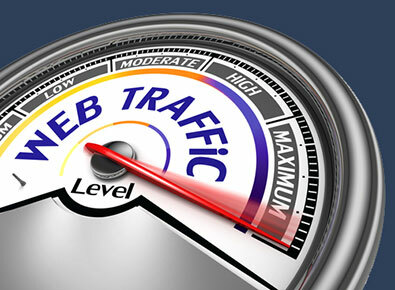 Through effective search engine optimization we drive high quality targeted traffic to your website. Sit back and let us drive new customers looking for your goods and services increasing your bottom line. I’ve been doing search engine optimization for over 16 years now and in that time I’ve talked to hundreds of business owners. It doesn’t matter the market, the size of their business, or where they are; there is virtually always one common theme when talking with them. That is a negative experience with a company providing “SEO”. You see, SEO is in many ways like with Wild West. There is really no regulation so many companies use it as a way to take hard working business owners’ money. Whether it’s a cold calling company promising the moon and delivering nothing, a web design firm that “also does SEO”, or a company based out of some other country spamming every site they can find with their amazing offer via email, the story always ends the same. Lots of money out, but few if any rankings. In some cases, it isn’t even intentional. Search engine optimization is an incredibly fast paced and quickly changing field. Google has stated in the past that they use over 100 different variables when ranking a site…and that statement was a few years ago so it’s likely there are more they look at today. Add to that the fact that, at any given time, Google is running 20-30 different experimental algorithm tweaks and you can see that if you aren’t involved heavily with SEO day in and day out, you’ll quickly be left behind. We’re different. We aren’t a fly-by-night company or some company that will make grand promises and then take your money for no results. We are a true SEO company with over 16 years of experience in SEO. We east sleep and breathe SEO. It’s not an additional service we offer; it’s our primary service. Our goal is simple, help honest businesses make money online. We do that by making sure our clients’ sites rank as high as possible in the search engines for their important phrases. One of the reasons so business owners have been burned by “SEO” companies is because SEO truly is critical to a business’s online success, and unfortunately some people take advantage of that need. A study performed by moz.com on click-thru rates in Google (you can see if for yourself at this link) shows that a whopping 71.33% of Google users click on a result on page one and only 5.59% click on a link on page two or three. To make things worse, 67.60% of the users that clicked on a link on page one clicked on one of the first five results with the number one result getting the lion’s share ( 31.24% ) of the clicks. This means that if you want to receive any significant organic traffic from Google you need to rank in one of the top five spots on page one, and if you aren’t on page one, you might as well be invisible. This is why search engine optimization is critical and why it is imperative that you work with a seasoned SEO expert. That is what you will find here a Platinum SEO Services. True experts in both on-page and off-page optimization. So pick up the phone and give us a call now at 972-544-6820 or fill out our discovery application to find out what we can do for your website and business.